The FAO Plant Treaty (ITPGRFA) and Farmers' Rights, access and benefit sharing related to crop genetic resources, seed legislation and the regulation of crop genetic diversity, crop genetic diversity and climate change adaptation. Master in Development Studies, Norwegian University of Life Sciences (2006). 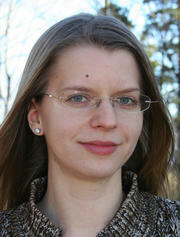 Bachelor in Political Science and Human Geography, University of Oslo (2004). Sustainable Agriculture Reviews, Vol 15, 2015, pp. 1-64. Plant Genetic Resources, Online 15.12.2014. 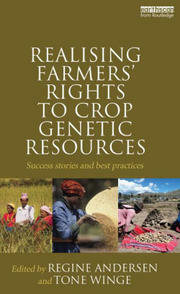 DOI: 10.1017/S1479262114001038, 17 p.
In Andersen, Regine and Tone Winge (eds), Realising Farmers' Rights to Crop Genetic Resources: Success Stories and Best Practices. Abingdon (UK), Routledge, 2013, pp. 117-133. Trade Insight, Vol 8, No 2, 2012, pp. 33-34.